Georges Sorel, the French philosopher, believed that in politics ‘myths’ can often be more important than reality. If the people could be stirred by emotive social and political illusions, regardless of their basis in reality, Sorel argued, this was ultimately the best way to inspire revolution. Ed Miliband might leave much to be desired in the eyes of a violent Lenin-loving syndicalist, but Sorel would admire certain aspects of the Labour leader’s election campaign a hundred years on. 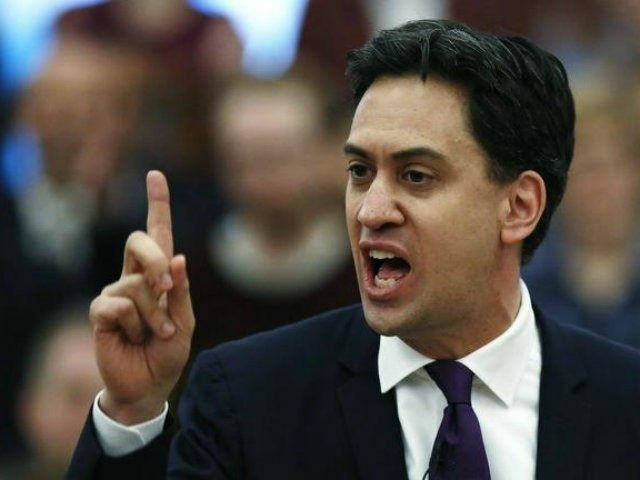 Miliband has thrust to the heart of his agenda three issues which stir the party’s core support: the bedroom ‘tax’, the threat to the NHS of ‘privatisation’, and most recently zero hours contracts. Much of Labour’s rhetoric has been Sorel-esque in its mythic qualities. The bedroom ‘tax’ is the topic which has rallied Labour’s troops more successfully than any other over the last five years. Labour resoundingly won the war of words, convincing the political class to accept their framing of the cut in spare room subsidy as a ‘tax’. Of course, the bedroom ‘tax’ is not a tax at all. The reduction in the spare room subsidy means that those who are under-occupying their social housing receive a smaller benefit. They do not have to pay the state any of their money, they simply receive less. How many people are affected by what Labour want us to believe is one of the greatest causes of suffering in modern Britain? Initial figures from the Department for Work and Pensions show that it impacts on 0.6% of the population. Labour have managed to convince their core support that this Tory policy was loathed across all of society, using the phrase “hated bedroom tax” in 24 separate press releases in the last two years. Yet an Ipsos Mori poll in 2013 reported that 49% support the policy, with just 33% against. Other polls confirm opinion is split. It isn’t universally hated and it certainly isn’t a tax, regardless of the illusions conjured by Labour. Whenever Labour needs to shore up support, it relies on the pseudo-religious devotion of its grassroots to the NHS. The Shadow Health Secretary, Andy Burnham, uses the mythical threat of ‘privatisation’ at the hands of the Tories as his main reason for returning Labour to power. Burnham says the Tories plan to “end healthcare as we know it”. He warns the NHS is being “sunk” by “a toxic mix of cuts, crisis and privatisation”. And he claims quality care is “simply not possible in Cameron’s fragmented, privatised, demoralised service”. Yet the NHS has not been “fragmented” or “privatised” under this government. Unbelievably, considering his rhetoric, the vast majority of all NHS outsourcing was done by the last Labour government, and much of it when Burnham himself was Health Secretary. Between 2006 and 2010, when Labour were in power, 4.4% of NHS services were outsourced. Since then, under the coalition, that number has risen only very slightly to 5.9%. This accusation that the Tories are privatising the NHS is a myth. Someone more cynical might call it a lie. On Saturday Miliband claimed there is an “epidemic of zero hours contracts”, that the numbers on these contracts are “exploding”, and that they are “exploitative”. According to Labour’s website, zero hours contracts “put an unnecessary strain on family life”, they mean “people feel insecure and powerless at work”, and are “not the way Britain should be competing in the 21st Century”. How many people are victim to this “epidemic”? The Office for National Statistics says they affect just 2% of the UK workforce. That number includes the staff of 68 Labour MPs who, in stunningly hypocritical fashion, employ their parliamentary staff on zero hours contracts. What’s more, the ONS statistics do not even show a majority of people on zero hours contracts are dissatisfied with the arrangement. Rather than feel exploited, many enjoy the flexibility they offer. Labour is also stretching the truth with its claim that the number of zero hours contracts is “exploding”. Full Fact say this is “unjustified” and that “nobody knows” the true rate of growth. The ‘hated’ bedroom ‘tax’, the ‘privatisation’ of the NHS and the ‘epidemic’ of zero hours contracts are modern day political myths. They either aren’t happening on the level Labour claim, or they don’t impact upon people’s lives in the way that Labour claim. There are so many genuine problems with poverty, social injustice and health inequality – causes which should be championed by socialists – so why is Labour focussing on three relatively insignificant issues? As Sorel might help us understand, it is because they are myths which can be used to invigorate Labour’s core support. And because they are promises which can easily be kept with simple bans and minor spending pledges. They don’t address real problems, which would require real solutions.